Monochrome is a work in a single colour. A familiar technique that you often come across in the world of art and photography. Arte has rediscovered this technique: it was the source of inspiration for Monochrome, a new series of wallpapers with a luxurious finish. The collection gives monochrome hues a new dimension using a new technique with relief inks. The Orient in the backgroundRelax as you would in a Turkish Hammam with Felicity on your wall. This stylish design gives an impression of luxury with fine details and oriental influences. 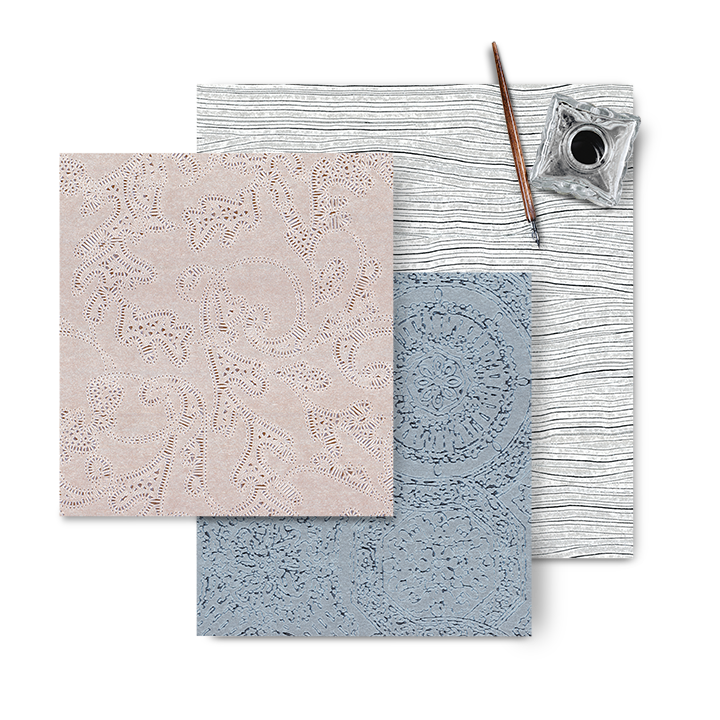 The pattern is also reminiscent of embossed leather, thus creating a warm atmosphere. 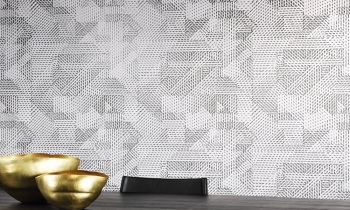 This decorative wallcovering will steal the show in your interior. 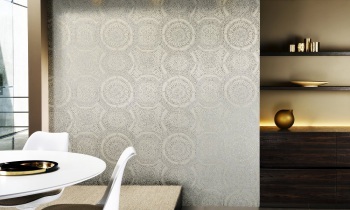 With Matrix on your wall, you will also imagine yourself in oriental atmospheres. This design gives you a simple way to create the look of wall tiles in your home. 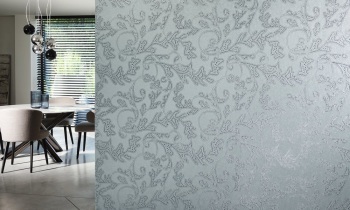 In combination with the shiny relief ink, this pattern is given a very realistic tile structure. You will also find a tile pattern with Window: from a distance, it looks as if you have hundreds of small tiles on your wall. The turquoise design will make you think you are in an oriental palace. Moreover, the geometric motifs suggest the Art Déco style: decorative and somewhat eclectic. Lines and circlesIncident light is an important element with Grid. The fine interplay of lines changes in response to the quantity of light. The result? A playful contrast which looks different every day. The diagonal patterns are inspired on woven fabrics, which gives them a soft and even appearance. Have you ever dreamed of your own mosaic in your home? In Roman times, it was customary to decorate luxurious villas with all kinds of mosaics. Since then, these drawings have been regarded as genuine works of art. Arte created Rondo, a wallcovering with Mediterranean influences to bring a mosaic design to your home in a simple manner. At home with natureBeing at one with nature is becoming more and more important. Natural elements like plants and trees have become indispensable in our interior. Within the Monochrome collection, Arte developed a design that is inspired by the unique structure of wood. 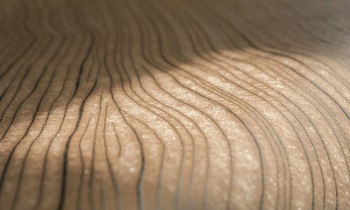 Both vertically and horizontally, Timber has an expanding effect due to the flowing grain structure. Grace means that you don't need to have green fingers to bring nature into your home. The opulent print creates a pleasant atmosphere in combination with the pastel shades. Grace looks very natural, like a climbing plant, and embellishes any wall. Eclectic geometryOblique, which literally means ‘slanting’, is the perfect name for this design. You can clearly see the monochrome effect from a distance. In close-up, you can also see the influence of architecture. The overlapping geometric figures create a fun effect, mainly due to the striking colour nuances. The design is – among other colours – available in blue-grey: a major colour trend this autumn. 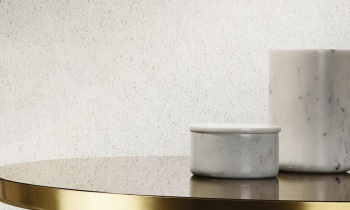 The colour looks cool by its very nature, and creates tranquillity in your home. UnwindThe plain design Serene speaks for itself. 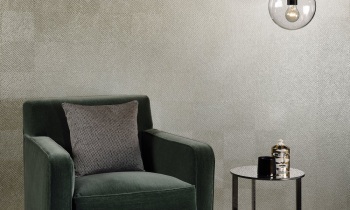 The wallcovering looks simple at first sight, until you come closer and notice the relief ink technique here too. A gentle pattern that exudes peace and quiet in any room. The design comes in eleven soft pastel shades.